Serve your drinks on a serving tray without spilling with the Serving Tray. 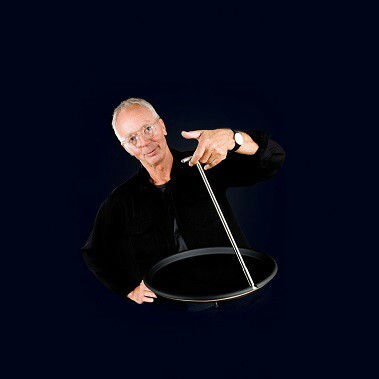 Gijs Bakker has a Serving Tray designed in a way that it stays in balance while you walk and serve. A functional and stylish design for daily use. Do you find it hard to carry a serving tray filled with drinks without spilling? Or do you find it difficult to bend down with a heavy serving tray? Do you always need both hands to hold a serving tray and does that make you run back and forth a lot? 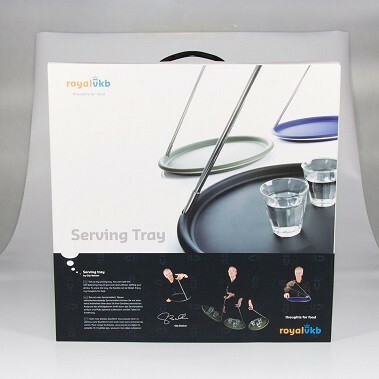 For all of this the Serving Tray by Royal VKB is the solution, because this serving tray balances itself. You just need to hold the frame at the top with one hand and you can calmly walk around with a tray full of glasses. Your other hand is free to open the door for example, or carry something else, or serve your drinks. It's easier to serve with the Serving Tray than with another serving tray. You can put the Serving Tray on the table and take cups and glasses from it. 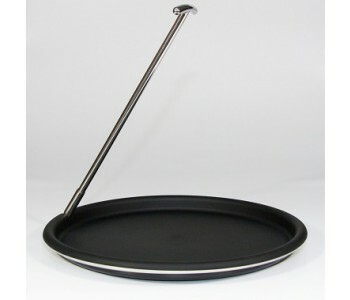 But you can also hold the Serving Tray in your hand and let your guest take their cup or glass off the serving tray. So you don't have to bend down. Much more comfortable. Designer Gijs Bakker has designed a Serving Tray with a stainless steel (RVS) frame and a Serving Tray of high-end plastic. The combination of silver and black gives this serving tray a stylish finish. 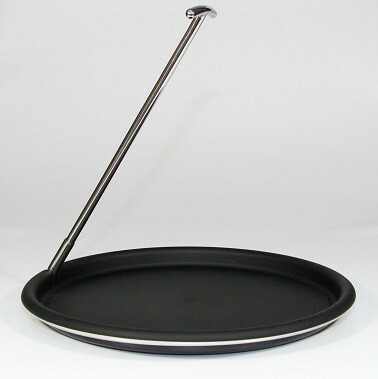 The frame has a diameter of about 40 cm and is made in a way that you can fold it, after which the height of the serving tray is only 5,5 cm. You can also easily store the tray. The Serving Tray is packaged in beautiful full color wrapping paper; practical and beautiful as a present on a marriage list. : Don't use any chemicals or soap.